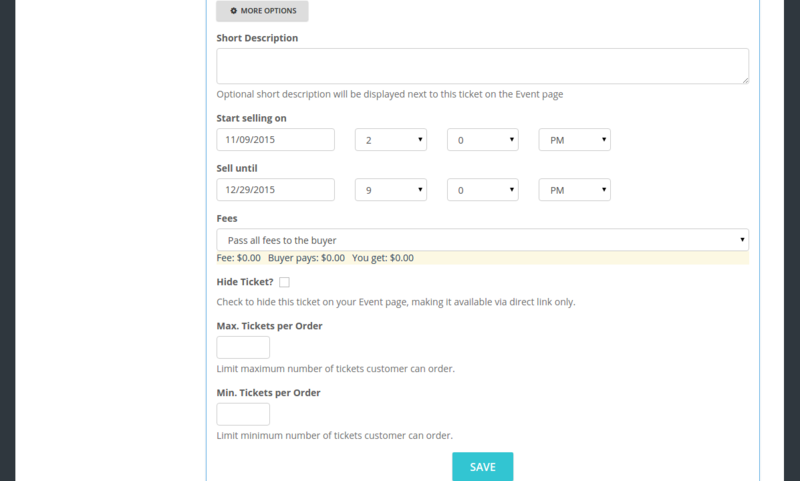 How to add multiple ticket types for my event? 09 Nov How to add multiple ticket types? 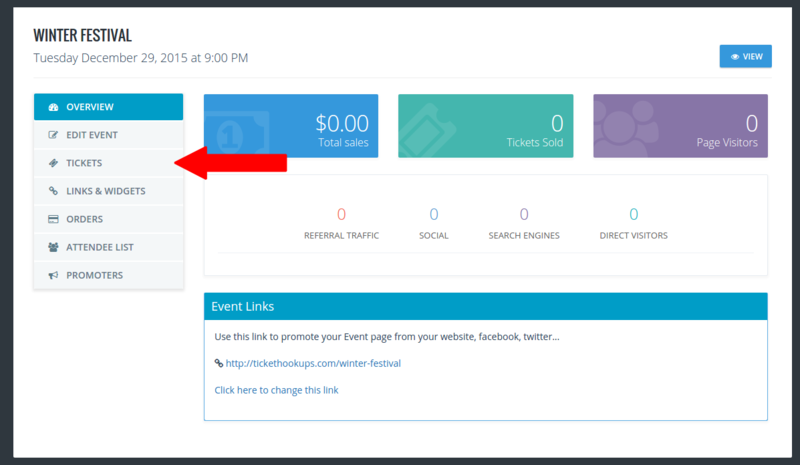 This short tutorial will show you how to add multiple tickets to your event. 1 Login to your Ticketstripe account and click on your event. Now click “Tickets” on the left. 2 Click “Add Ticket” button as shown below. 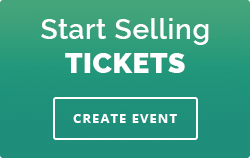 4 You can enter a short description, define start and end date for this ticket’s sale, change how fees are handled, make the ticket private, limit maximum and minimum number of tickets per purchase.